We wanted to create the ultimate app, a game that was engaging, addictive and visually stimulating for players. We’ve succeeded with Pablo’s Planet – HD Technicolor graphics, surround sound and 32 eye-popping levels make this app a must-have. 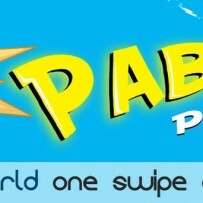 ChumpChop, an international software development company, has announced the release of their new app, Pablo’s Planet. The game is set in a world without color – players must help Pablo, the alien hero, restore color and defeat the evil Dr. Bleach. The game is designed to take full advantage of the touch screen capabilities of the iPhone, iPad and iPod touch. Players can blast rockets at Dr. Bleach’s evil henchmen with a single swipe of their finger, and experience brilliant HD visuals when color is returned to each location. “We wanted to create the ultimate app, a game that was engaging, addictive and visually stimulating for players. We’ve succeeded with Pablo’s Planet – HD Technicolor graphics, surround sound and 32 eye-popping levels make this app a must-have,” said Cindy Battye, one of the game’s developers. As the game progresses, players visit a wide variety of landmarks – baseball stadiums, lush forests, palaces, even the bottom of the ocean. Each level brings more chances to collect power ups, new weapons, and to unlock special skills. Successful completion of all 32 levels unlocks nightmare mode, where players can collect even more upgrade bonuses. Pablo’s Planet includes integration with Apple’s Game Center, which allows players to compete with others, as well as share scores via Twitter or Facebook. Game Center provides an easy way for players to let their friends see how they’re doing in the battle against Dr. Bleach. Pablo’s Planet is available starting March 17th, 2012 in the iTunes store. For more information, visit the Pablo’s Planet Facebook page, or go to ChumpChop.com. Founded by John Merrick, Soren Jordansen and Cindy Battye, ChumpChop began by creating software and training programs for online businesses. Pablo’s Planet is their entry into the mobile gaming marketplace; several more iPhone games are scheduled for release later in the year.